Coppenhall Gorse is a large 13th century fortified earthwork, founded by the Bagots. The rectangular raised platform of a probable manor house, is encased by a large moat. Most of the obvious surrounding earthworks are the dams, which were used to contain this moat. The dense cover of trees, makes it is best viewed in winter. 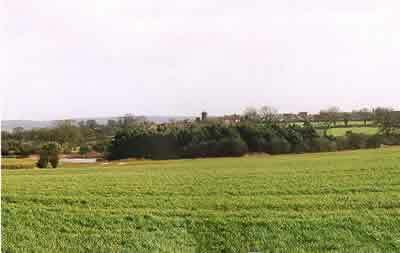 A mile south-west is Littywood Manor and 2 miles north is Stafford Castle. Coppenhall Gorse is located north-west of Hyde Lea, off Thornyfields Lane. 2 miles south-west of Stafford, on Thornyfield Lane. The site is freely accessible in daylight hours, a public footpath leads to the platform from Thornyfields Lane.